Charming 3 bedroom lodge with riverside views and a perfect location, ideal for short breaks. Nestled amongst 8 acres of private land on the banks of the River Thames, this charming lodge offers a spectacular getaway in Oxfordshire. With 3 ensuite bedrooms and plenty of space both inside and out, theres more than enough room for 7 guests to stay comfortably. The living accommodation includes a large open plan living, dining and kitchen room with wooden flooring throughout as well as double doors leading out onto the terrace, perfect for long summer evenings. This accommodation can be rented in tandem with Burcot House, which is also on the grounds. 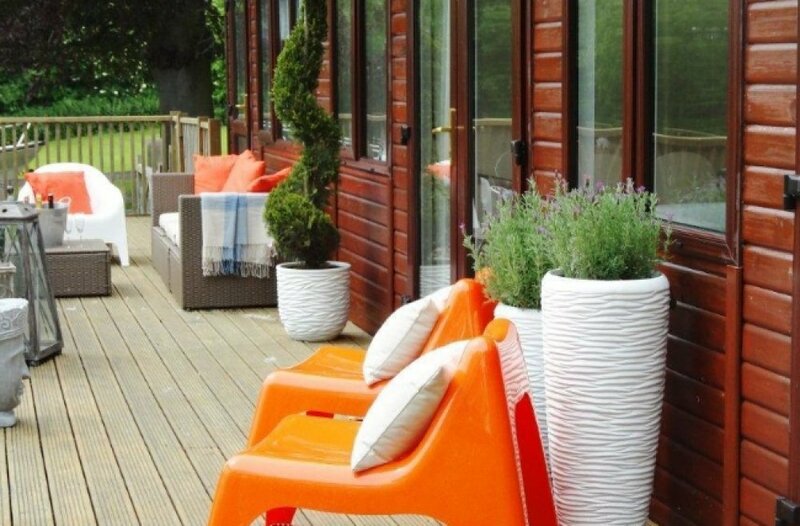 The lodge is ideally located for those guest who are seeking an easily accessible retreat for a weekend or short break, while for those who are coming from afar, the nearest international airports are London Heathrow and Birmingham international, each around 50km away. Didcot Parkway railway station is a mere 6km away and provides rapid links to Oxford, the South West and central London. Closer to home are the Orchid Lakes, perfect for fishing, just half a mile away. Also nearby are the historic towns of Abingdon and Oxford, each boasting enormous charm. Minimum number of nights for these suites is 2.